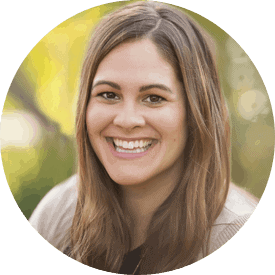 I am so happy to share some brand new, silent e fluency passages I made… and they are FREE! These phonics “read & illustrate” passages are the perfect way to assess students understanding of what they are reading. 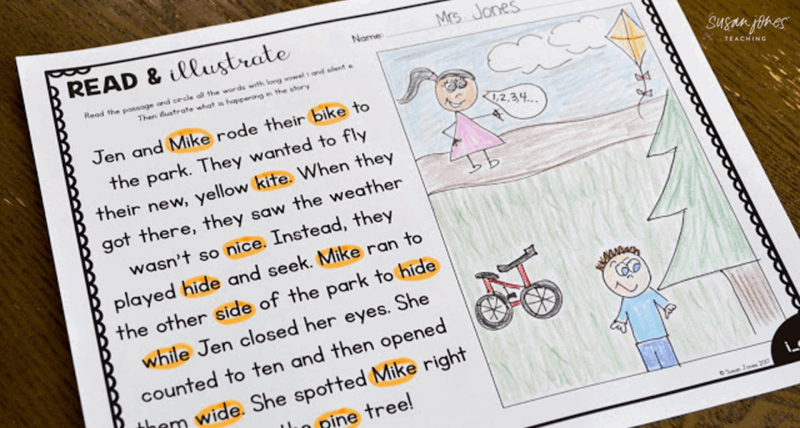 There is a longer paragraph and there is also a sheet with three short sentences so you can choose which sheet to give your students. These types of passages and sentences allow students to build their rate of reading tricky silent e words after they have learned the phonics rule. 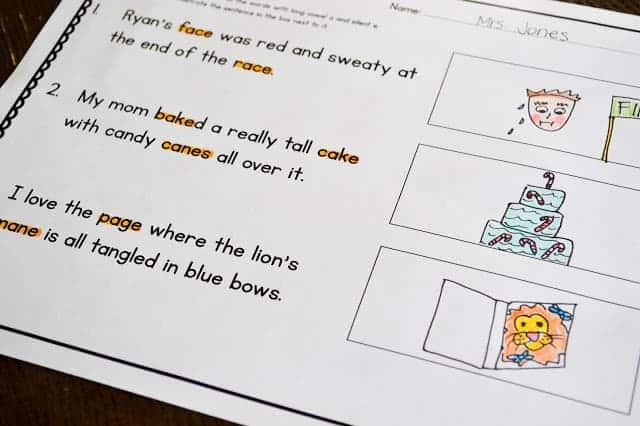 Students not only show that they know how to decode with these passages, but they also show their ability to comprehend what the passage is saying when they illustrate. I like to use passages like these after I already teach the skill (silent e) in isolation. So first, my students practice applying the silent e to different CVCe words. 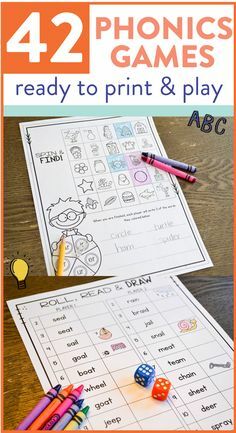 Once my students are able to do that successfully I will generally have them add the silent e to CVC words to make them CVCe (cap to cape, tap to tape, etc.) After they have mastered those two skills is when I will give students fluency passages. These let me assess my students ability to not only decode these words, but understand them in context. 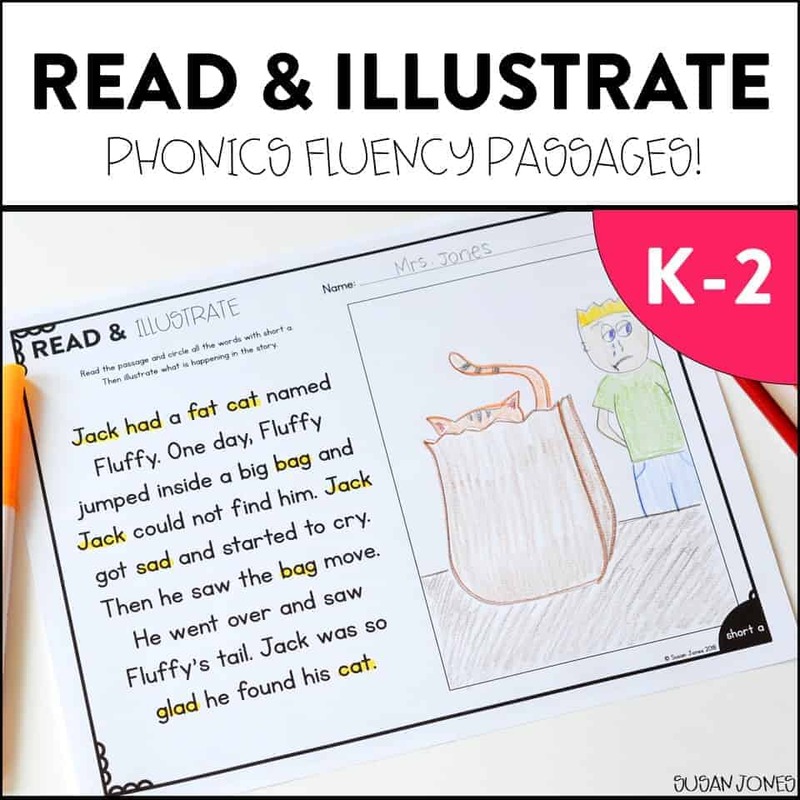 If you think you’d like to use these fluency passages in your classroom, just click below to download! Hi, Susan. 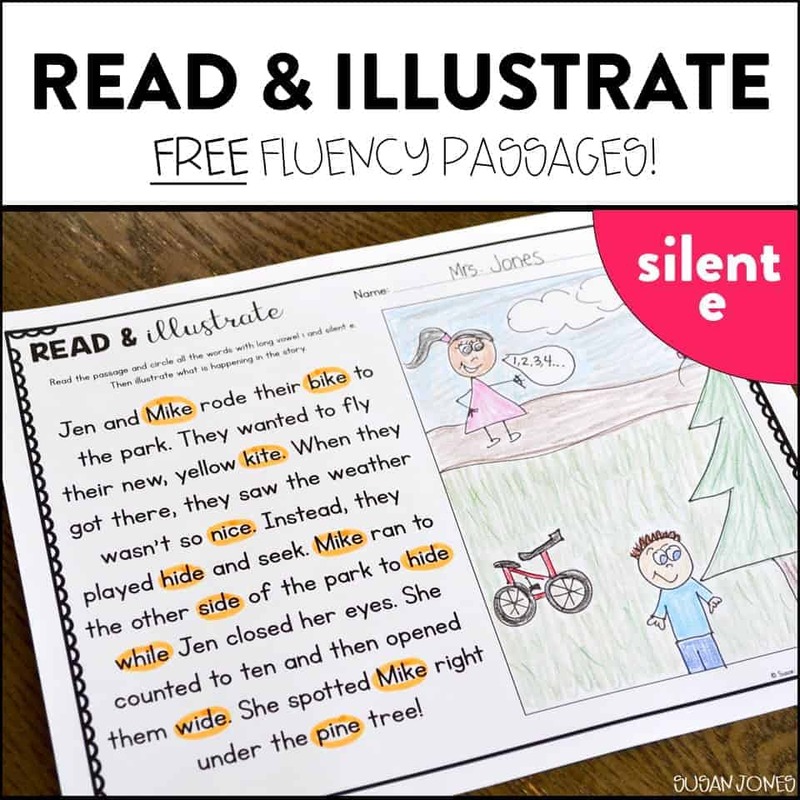 I subscribed to your blog but still can't figure out how to download the Silent E fluency passage and activity. Would you mind sending it to me, please? Oyegun@wis.edu. I would also love to know how to download these! 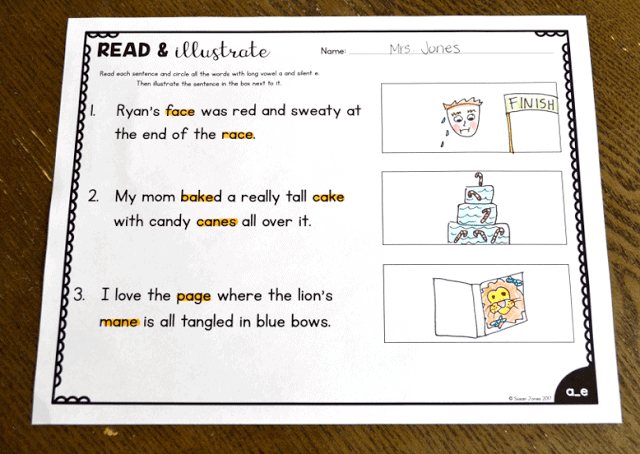 Send me an email (susan.jones@thankgoditsfirstgrade.com) and I will send them along! These look amazing! I clicked on the image, signed up for emails, but haven't gotten anything. Can you please help? Love the silent e fluency passages that you created! Looking forward to using the Silent e passages. 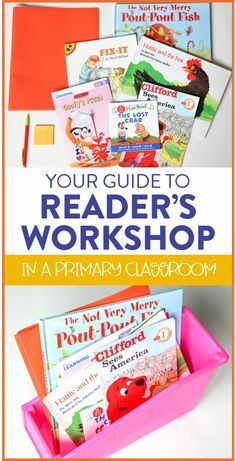 What a treasure for a struggling reader!I really look forward to the freebies! I am so excited to try these in my first grade classroom! I’m a second grade teacher and just taught long e! Would love fluency passages! My first graders will love these! 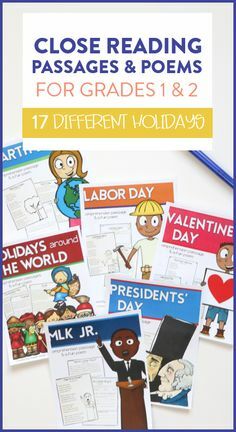 What a wonderful way to teach students this concept!